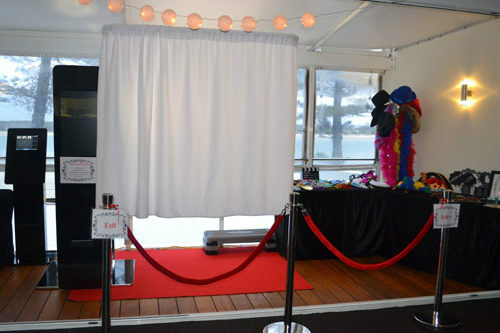 Our photo booth looks amazing & is Australian made. It has an extremley professional look for all first class quality functions including weddings. You can fit up to 12 people in the booth & we offer the choice of 3 different colour curtains for your event. 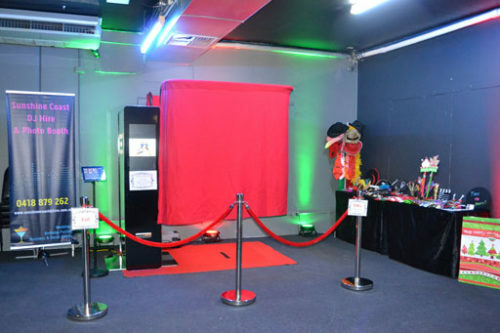 The photo booth main unit itself is a professional black laminex booth with built in lighting. We even have a built in LCD TV screen on the outside so we can play a slide show of all photos taken during that evening uploaded instantly. Once in the booth it is so easy to take your photos through our touch LCD screen. Once complete your photos are printed instantly. Our range of props are the best available with so many to choose from. We even have a special range of wedding props for all wedding bookings. 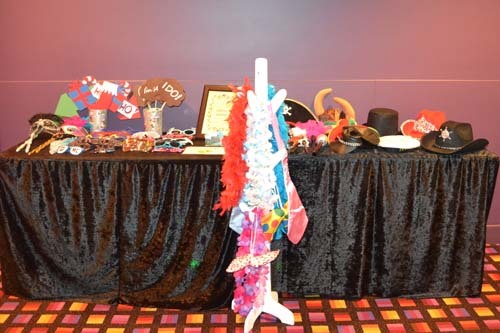 WE BELIEVE THAT WE HAVE ONE OF THE BEST PHOTO BOOTHS AVAILABLE ON THE SUNSHINE COAST WITH THE MOST AMAZING RANGE OF PROPS AVAILABLE!